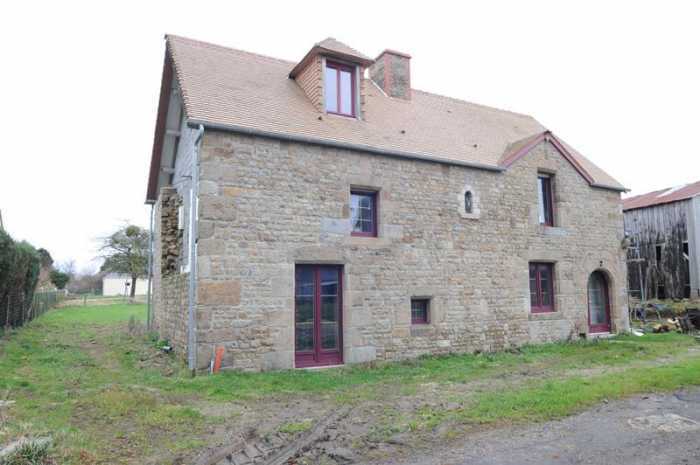 AHIB-SP-001159 • Mortain • 4 Bedroomed Village House with 2 garages and garden • walking distance of Town. AHIN-SP-001161 Nr Flers - Athis de l'Orne 61100 Country Estate with Manor House, Studio, house to renovate and just over 11 acres - ideal as a substantial family home or B&B. AHIN-DM-1041DM50 Nr Barenton 50720 Pretty little farm to renovate on 5000m2… more land possible. AHIN-SP-001156 • St. Hilaire du Harcouet • A Detached village house 1/2 Bedroomed House to finish renovating with a garden in Normandy. AHIN-SP- 001152 • Between Mortain and St Hilaire • Detached countryside house in quiet rural hamlet in Normandy with 2.5 acres. AHIN-SP-001153 Nr Saint-Vigor-des-Monts 50420 The house is a traditional French Farmhouse, believed to date back to the early 1700's with potential B&B rooms and attached gîte in over an acre of land with open views across the valley.